Most (honest) website owners will tell you that they created their site with the idea of it growing their (internet) fame so they could quit their day job, sit on a beach and manage their site, pina-colada-in-hand. It’s the dream of a picturesque, self-fulfilling life. If I wanted, I could get 1,000,000 views on this post. It’d take some cash and some nitty-gritty effort, but it wouldn’t be that difficult. Here’s the thing though, I don’t want that to happen. Forget the 1,000,000 views. Forget 2,000,000. It’s not important. In just a moment I’ll explain why, and show you how to increase your traffic the right way. But first, I want to clarify something…I’m with the rest of you. But, you’ll only achieve this promised-land goodness if you capture traffic that’s real-real. To help me explain, let me use a situation our agency faced, not so long ago. We don’t take on any business that knocks on our door. The fit has to be right, we have to believe in them and we have to know that what we offer fits with their goals. So, when a new business approaches us, we do some research and meet/speak with them. A business recently approached us about growing their presence, increasing awareness and generating leads. We invited them to our office for a chat. Before the meeting was 10 minutes old, they brought up their social media presence, in particular the success they’ve had growing their Twitter followers (safe to say, they were boasting) and for a business of their size, we were all impressed with their numbers. Later that day, one of the team checked out their claims. They were true, but things weren’t all they seemed. The company did have a large amount of followers, but they were following more than 2x that number (this is not always a bad thing, particular on personal profiles). Their posts had little to no engagement, in fact 90% of their likes and retweets were from their own staff members. So, with that in mind, do you now understand what I mean by real-real and fake-real? Maybe a few of you have got it. The answer is this, the company had followed loads of people in the hope they’d receive a follow back. The people who did follow them back, didn’t care about their business, profile or posts. They simply returned the follow because that’s what some people do. These followers weren’t real-real. They were fake-real. Sure, the numbers tell us they’re there, but in reality, they aren’t. They don’t mean anything. It’s like a car enthusiast sticking a GT badge on his Honda Civic. Sure, it might look real, but when you get it out on the road, it won’t drive any faster. And the same applies to traffic. 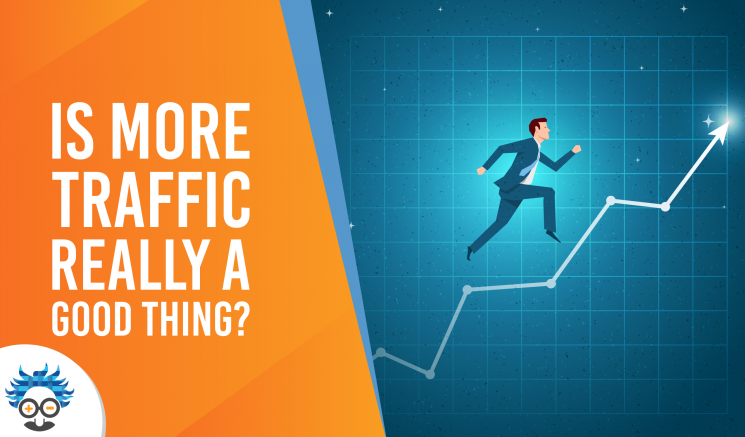 Growing traffic is actually incredibly easy, but it’s such a big source of pain and suffering for website owners that all sorts of businesses have sprung up offering traffic growing systems. And because people are so desperate and so sure that more traffic will take them to the happy place at the end of the rainbow, they take the offers. These TRAFFIC-DRIVING companies come in a ton of different shapes and sizes. Fake-real traffic is different for everyone, and that’s why there’s so many ways of achieving it, (even from social media!). In this fast-moving world, we have the mentality that anything can be achieved in a super-short space of time, but the truth is, it can’t. Fake-real traffic is a sign of this, it’s a show of impatience, unrealistic expectations and naivety. I want you to forget about traffic size, put it to the back of your mind. There’s a time to check it, and I’ll tell you when that is a little later. But, you don’t know much else. I’m going to break this fake-real traffic into three categories. As you’d expect, bot traffic can be bought and sold. Companies that offer you ‘buyable traffic’, generally use these to spike your ratings. Having an extra 1k views per day might sound appealing, but not when it’s from a source that doesn’t breath, have arms or legs, or even a beating heart. It’s meaningless, does terrible things for your stats, search engine ranking and engagement rate, and is basically the equivalent of dragging 100 manikins into a theatre, because you can’t sell tickets to your show. But, bots aren’t just bought and sold. Some (digitally unsavoury) people use them to crawl the web, searching for an open contact form to spam with generic messages. These bots reach so many websites, that there’s little we can do to stop them scanning our web pages, but, if you do have an open contact form, create a captcha field, this will separate the human from the droid. I don’t know what’s worse, the name or what they stand for. Whichever the answer, click farms really are as bad as they sound. Imagine a bunch of old, slow computers huddled into a tiny room in a developing country, with a group of struggling, impoverished and poorly paid people crammed in, visiting websites and liking content, and you’re somewhere near the image I have in my head. Click farms are paid traffic, (bought by the click) that you pay to visit your website, and give your traffic size a boost. They are mainly based in developing countries, and pay their workforce (the clicking battery chickens) very low wages. Click farms are basically bots, only these guys have beating hearts. Traffic bought from this source will have a negative impact on the overall ranking and development of your site. It guarantees poor audience behaviour stats, and will (probably) have a negative effect on your SEO. Buying clicks is not a sustainable way of building a large, consistent audience, (unless you’re willing to pay for it for the rest of your life). It appeals to website owners who are both desperate and naïve, and I strongly urge that you stay away from them. Fake-Real visitors are easy to define, but more difficult to place (because every website will have a different target audience). …visitors who are interested in my content, won’t necessarily be interested in yours. I’m not suggesting that these people are somehow fake, but in terms of your website (and your goal), they may as well be. 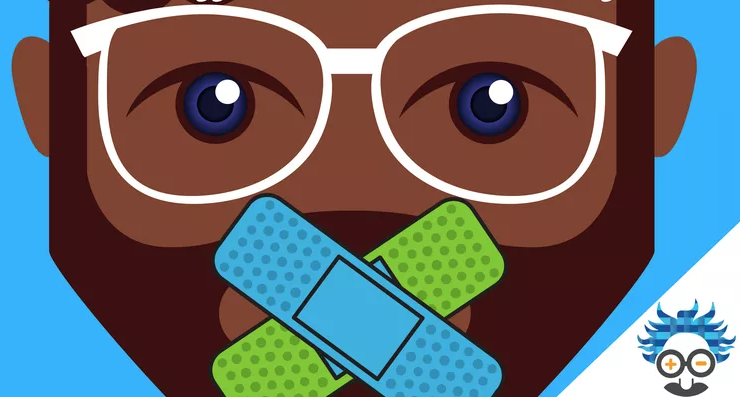 There are many ways of gaining fake-real traffic, but the most common are clickbait (particularly over-exaggerated promises in content/link), off-topic content and zero-plan traffic driving strategies (linking in inappropriate places). Trying to boost your traffic scores by doing any of these things is pointless, a waste of energy (and money) and proves that you probably won’t make it as a website owner. You should have a target market for your website (more on this soon), this means fake-real people occupy 99.9% of the internet. In other words, they are everyone you aren’t targeting. When websites have absolutely no traffic driving strategies, or state that their traffic aim is purely to ‘attract as many visitors as possible’, they’re effectively going after EVERYONE, including the 99.9% who are completely worthless. That’s a lot of wasted time and money. To help me explain, I want to tell you about a couple of traffic tests Einstein Marketer undertook recently. The first one was with a fairly well-known content referring company called Taboola. If you haven’t heard of them, they basically run content ads on websites that get lots of views (ours went on DaillyMail articles). They claimed to gain ‘10x higher engagement than regular ad formats’ and they ‘reach more relevant audiences’. So, we decided we’d put their claims to the test. The traffic test definitely increased awareness, driving 360 new users in one day, but were they the right people? Only 2 of them returned to the site a second time, 93.37% of them bounced and they spent an average time of 23 seconds on the site. These are all CLEAR INDICATIONS of a fake-real audience. We stopped the test after day 1, figuring that the audience it drove were polluting the stats from the real-real audience we’d grown. Sure, we only received 2 users from the site, but look at how much those people enjoyed the site and its content. This is a clear indication of a mining source for real-real traffic. Another test that produced heavy fake-real traffic was with the recently shut-down StumbleUpon network. For anyone who doesn’t know, this website shows its users a random webpage (that they think their users would like). This guarantees new visitors landing on a site they’d (probably) never heard of. 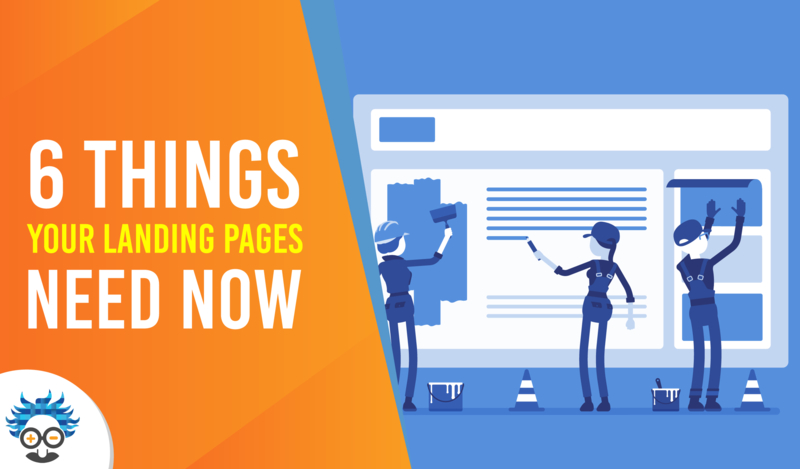 If the page makes an impact on that visitor, hopefully they return and tell others about it. Look at the size of that traffic spike! And 95% of that traffic was from our StumbleUpon test. …and if you ever needed to see how pointless fake-real traffic is, check out the traffic before the spike, and after it. There’s no difference. Even though we’d smashed the site’s (UVPD) record by 10x, none of the traffic returned. Had that spike been from real-real traffic, we would’ve seen continued growth in the aftermath. A huge majority of internet users are not your target market, this means fake-real traffic can be driven from anywhere! Don’t be fooled into thinking that huge leaps in traffic are an awesome thing for your site, they aren’t. And more often than not, they’ll have a negative effect. I’m a Director of Content, so when I see a client or marketer trying to boost traffic scores by leaving their subject area, it drives me crazy (this happens way too much). This normally happens when people take their eye off the reason for their site, and start to focus only on the ‘vanity metrics’ of their site. For example, I know that writing a blog called the 100 Cuttest Puppies, would drive way more traffic than a blog about fake-real traffic, but I also know that all the people who would read the cutest puppies blog, wouldn’t fit with my long-term strategy. The most important thing you can do, is be consistent. The more quality content you produce around your chosen area, the more people will see it, the more your audience will grow and the more your industry authority will increase. You must stick to your topic. If you’re one of the many people who operate in a small niche, accept that your audience aren’t mulling around the internet in their 1,000,000’s. Small niche means small target audience. Keep targeting the right people, and you’ll become the (or a) top dog in your niche. …the problem is, it actually masks how effective your content or offer is, and brings in people that aren’t of any value. Creating headlines that are clickbait-y completely ruins the integrity of your site. Even if you produce content of real value, when a headline or link like this is attached, it destroys the content’s perceived quality. You will lose all the real-real traffic, and get loads of fake-real people. Focus your links and headlines on the value of the content, and summarise exactly what you’re writing about. Make it attractive and interesting, but DO NOT succumb to the temptation of clickbait. 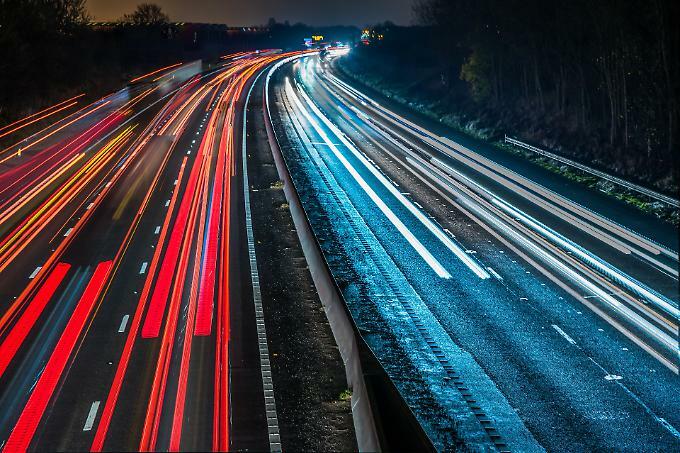 It’s crucial that you keep a constant track on your traffic. I check Google Analytics every day, but I do not concern myself with number of visitors. I know that traffic growth cannot be measured day-to-day. That’s why I record my traffic scores once a month (for the entire month), on a wall. My target is always to beat the previous month (but only in the right way). I constantly analyse my best visitors and where they come from. When I know this, I ramp up my efforts at attracting more of these people. Working like this targets ONLY the people who matter to me, and hopefully only people who our website(s) matter to. If you’re regularly gaining traffic from a source/medium that ticks all of the above boxes, stop using it. You’re wasting your time, ruining your site and chasing the wrong people. Similarly, if you gain traffic from a site that provides very little traffic, but they behave in the opposite way to the bullet points above, go after it. Go to the source and figure out exactly how you can attract more visitors. -Have a clear goal for your website– your website must have a reason for existence. When you have this, you must manage everything on the site around that goal. If yours is confused, or has no goal, you’re going to attract the wrong audience or nobody at all. Always keep your goal in mind. -Work backwards- when you have a clear goal, create steps to it, working backwards from the top down. 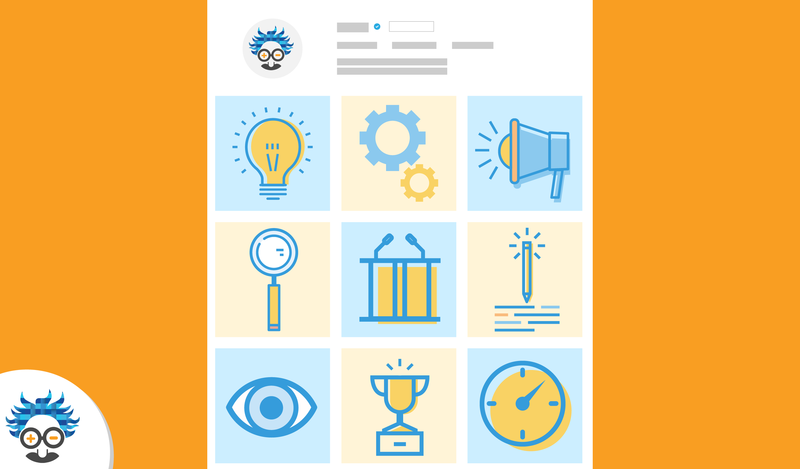 Strategize a clear route that is visible for your audience. 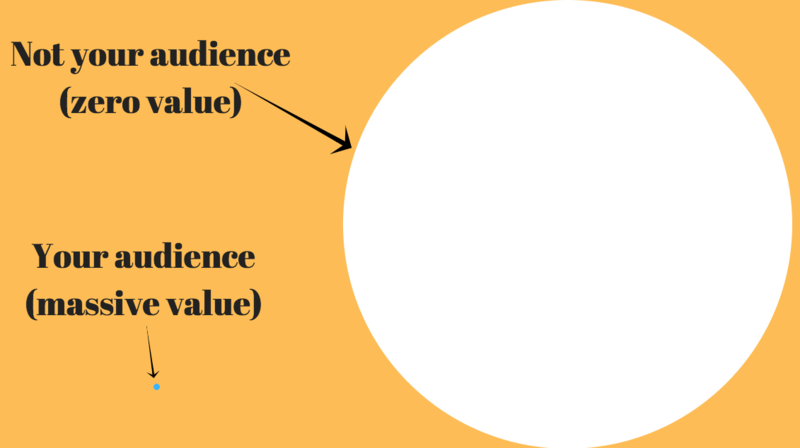 -Have a target audience- I’ve lost count of the number I’ve times I’ve mentioned ‘target audience’ in this post. 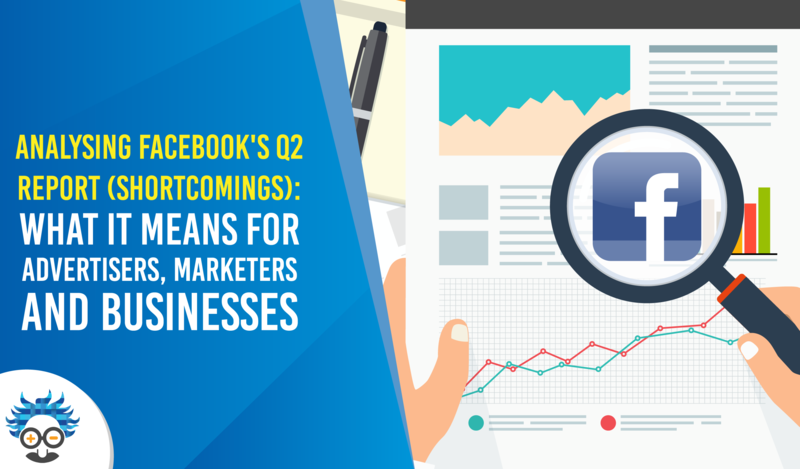 There’s good reason for it, you have to know who you are targeting. These are the people who would benefit most from your website’s goal. 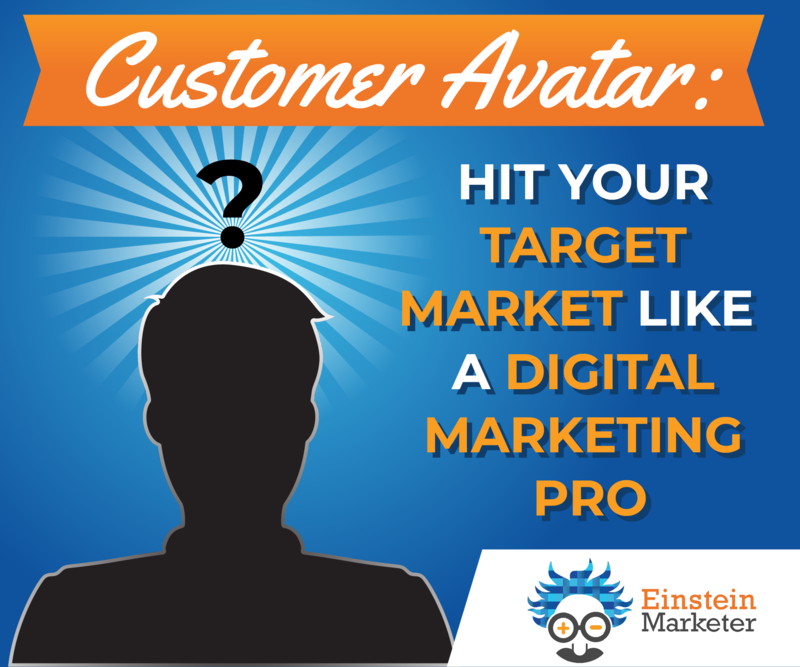 Use a customer avatar to better understand your target audience. -Centre everything around your target audience- knowing who they are is worthless if you do nothing about it. Use your customer avatar to understand their needs and pain points, and target these. Solve problems, give them value, put your arm around their shoulder, just make sure you become valuable to them. Be consistent and always provide quality. –Give your traffic direction- it’s quite likely that some of you are getting real-real traffic, but the stats tell you they’re fake-real. Make sure your website has a clear path, or direction for your traffic. Recommend similar content or offers on your site, or use a content funnel to keep them moving. Don’t allow them to stagnate and bounce on the same page. Strategize your traffic to move in the direction that’s most valuable to them, and you. –Search for congregation spots- a congregation spot is a place where your target audience hang out. It’s your job to track them down and create awareness (value is crucial). For example, if you’re targeting business professionals, put effort into LinkedIn. Use Google to find threads, blogs, tools and networks. –Analyse everyone- data doesn’t get me excited, but finding a source that is rich with real-real traffic does. 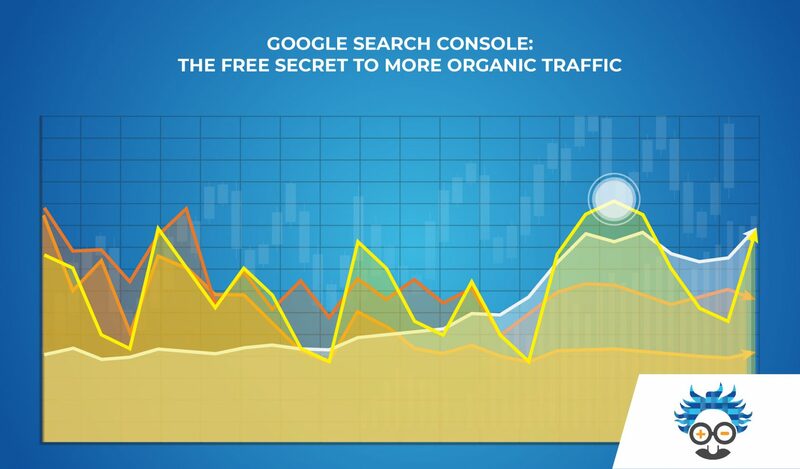 Use Google Analytics to keep a regular check on where the best traffic comes from. 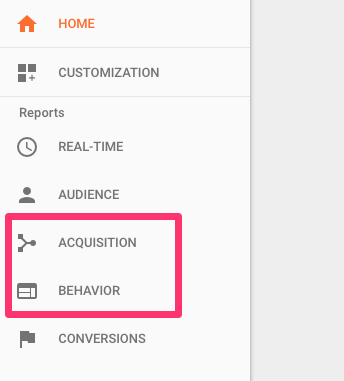 Consider behaviour stats as your go-to traffic measure. Analyse your traffic sources, and focus on those that perform the best. -Avoid fake-real traffic attracting mistakes- finally, stay away from the three fake-real traffic mistakes mentioned earlier. That means no clickbait, no off-topic content, and no zero-plan traffic strategies. Tighten up. It’ll be worth it. Seeing a large increase in your traffic size isn’t actually a good thing, unless you know that traffic is real-real. It’s easy to become impatient and unrealistic, that’s the world we live in. But if you consistently act in the wrong way, you’ll only attract people who are worthless to your website. Value will be repaid with value. Quality will be visited by quality. Use the advice in this blog to stop making the same mistakes (I see every day). Know your target audience, and go after them, ONLY. The rest of the web belongs to somebody else. What do you think about fake-real traffic? Have you seen any crazy spikes in your traffic that were completely useless? Perhaps you disagree? Share your thoughts with the rest of our real-real audience. Check out our Google Search Console Blog, to discover how to increase your organic traffic (this is all real-real). I love this article because it makes me feel as if I’m not just shouting to myself in an empty, dark room. 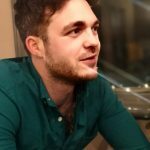 People are still buying traffic and followers for the sake of vanity and I’m a small blogger trying to create blogs that are valuable to readers. I’m still working on building it but I’m seeing my organic traffic grow outside of my limited low budget google ads and I’m excited. People are sticking around and checking out more of my pages. It’s slow but rewarding. I totally agree about staying on topic, though. And am working to be more consistent but I’m with you. Hey Diane, thanks for the comment! Blogging is a tough old game, especially to start out with. I’ve taken a look at your content and it looks awesome! I’m sure you’ll get there. Keep searching for new distribution spots! You might find more real-real traffic by building your Facebook, Twitter and LinkedIn audiences, or sharing on the Chrome extension Zest.is.